Witness for the Prosecution, a gripping whodunnit by Agatha Christie, has the pursuit of justice at its heart. 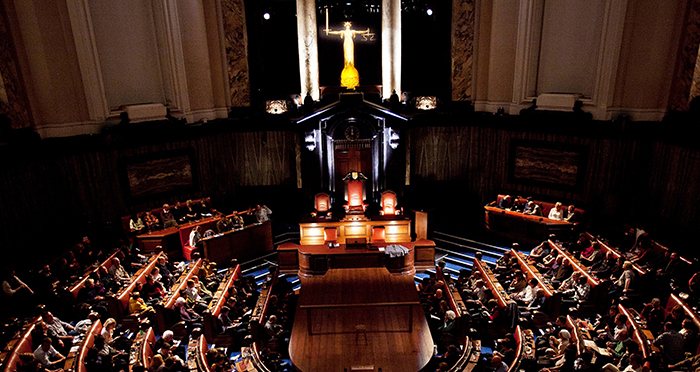 Based on her short story from 1925, the play is currently being performed in the novel surroundings of the Council Chamber of London’s iconic County Hall. It’s very, very grand. Main character Leonard has been arrested and charged with murdering Emily French, a woman twice his age he befriended by accident. The victim, 56, was found dead in her home which she shared with her housekeeper and her eight cats, killed by a blow to the head. Agatha Christie’s trial-based crime thriller, while entertaining us with piercing cross-examinations and lawyers going head-to-head, gives us a glimpse into the world of miscarriages of justice. Any law student with a case summary of the Guildford Four or Birmingham Six at their fingertips will appreciate this. Netflix series such as Making a Murderer and The Confession Tapes have seen a wider audience cast doubt on the criminal justice system’s truth-seeking clout. Christie is definitely having a moment right now with a number of film and TV adaptations, including last year a US version of Murder on the Orient Express starring top-name actors like Judi Dench and Johnny Depp. The Witness for the Prosecution production is without bells and whistles: throughout the two-and-a-half hours (with a 20-minute interval) the actors remain in the same clothes. Locations, of which there are three, are denoted by actors moving furniture on and off the stage. But what Witness for the Prosecution lacks in gaudy theatrics it makes up for in rich courtroom drama. 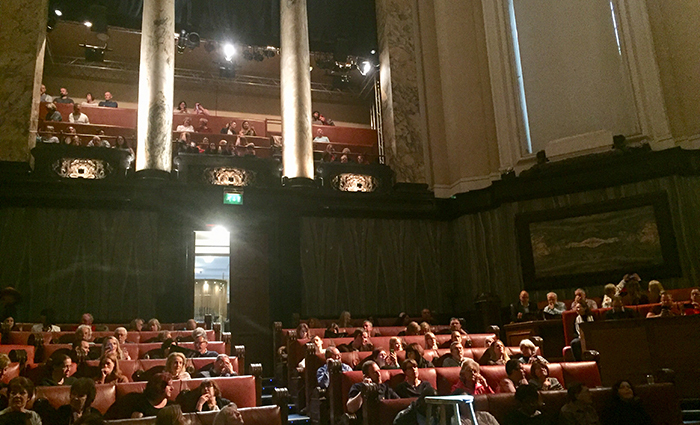 The shadowy-faced judge’s piercing eyes; the audible gasps from the audience in (surprisingly big and comfy) seats as the play reached its climax; the chatter in the interval toilet queue about whether Leonard did it or not — moments like these make criminal law seem so glamorous, really. We know it’s not. 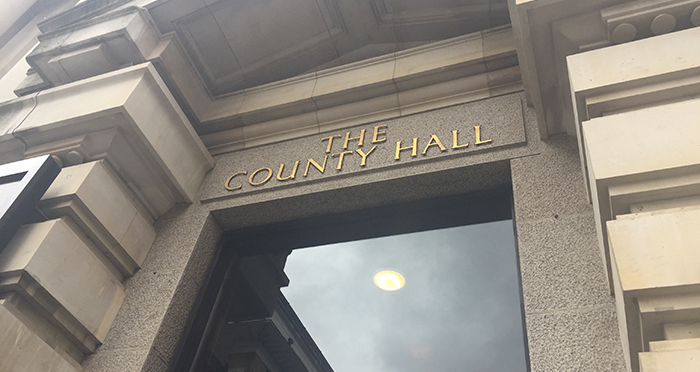 The grandiose County Hall on the Thames, once the headquarters of the capital’s own government, looks nothing like a more typical, haggard crown court building of today. Wilfred, Leonard’s barrister, has a number of leisurely chats with his client, even before he’s arrested; they are a far cry from the dropped-on-your-desk-the-night-before-trial cases criminal barristers too often complain about. I wonder what Wilfred, suited and booted and sharing a stiff drink with the instructing solicitor, John, in his cleanly-furnished office, would make of today’s courts: as a result of legal aid cuts protests, murder suspects are appearing without barristers because 100 chambers are refusing new work. So: don’t use Witness for the Prosecution as ammunition for a career in law. Take it for the fictitious delight it is, and you’re in for a treat. I’ll bap you, you roll. Criminal law is the most fun and interesting area of practice. I speak as counsel who has dabbled in a few areas of law before settling for crime. The pay is poor but the day job is fun. What are your toenails like? I once dated a criminal lawyer with horrific toenails. Is it all criminal lawyers? “it will make you want to become a criminal lawyer” With the increasing cuts in legal aid, dwindling access to pupillages, extortionate BPTC costs and shoddy salaries in the profession, I doubt it. Does anyone get spanked across the senior partner’s desk? Seems a bit harsh. Do they really complain too often, or do they justifiably complain as often as it is merited, i.e. most of the time? If barristers are not raising the problems loudly and fearlessly, how will anything ever improve?